Visit American Samoa, a land made up of five volcanic islands and two coral atolls, for a holiday as adventurous or relaxing as you want to make it. The untouched landscape supports an abundance of protected wildlife, and many tourism businesses are locally owned, operated, and sustainable. The islands' numerous cultural heritage highlights give visitors a sense of the spirituality and calm that native inhabitants have maintained for millennia. Traversable by land and sea, this unincorporated territory of the United States offers many new perspectives on a fascinating culture and environment. American Samoa is in South Pacific. 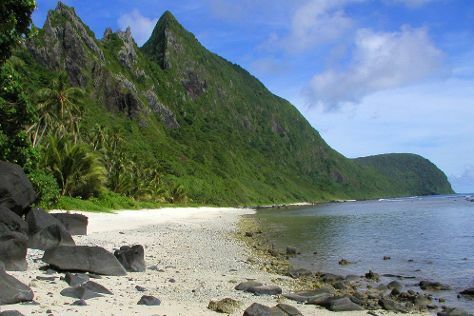 Our American Samoa trip planner combines visitor reviews with your personal interests to make an itinerary informed by experts, but tailored to suit your style.